- Lustre shows if a mineral is shiny or not. - Some minerals such as gold and silver, appear shiny - another clue to their identity. - Other minerals appear dull. 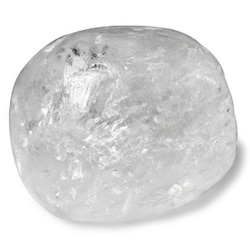 - The shininess, or lustre, of a mineral depends on how light is reflected off of it. - If a mineral shines like a polished metal surface, it has a metallic lustre. - If a mineral doesn't shine like a metal, it has a non-metallic lustre.